The Little Village building where ten children died in a fire Sunday is now the subject of more than 40 building code violations. CHICAGO (WLS) -- Dozens of code violations have been found in the Little Village building where ten children died in a fire Sunday, according to investigators. 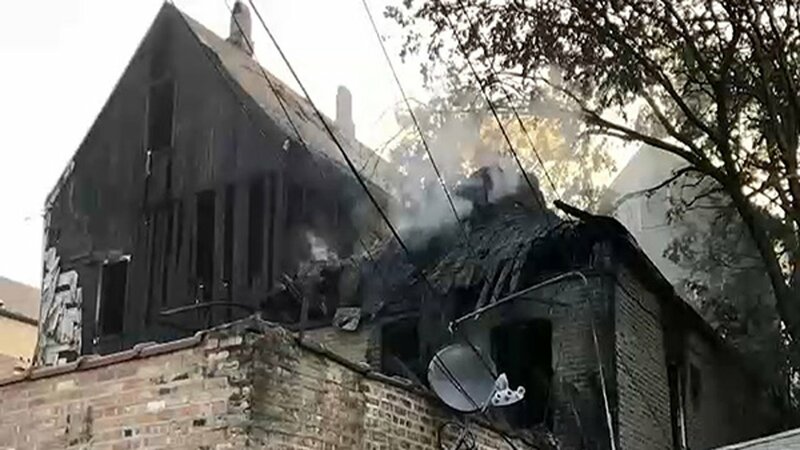 The Chicago Department of Buildings said Friday that six violations were found in the carriage house, where all ten children were asleep at the time of the fire. 38 more violations were found in the home in front of the carriage house. City records show the buildings were missing smoke detectors and carbon monoxide detectors. One smoke detector was missing a battery. Firefighters said that by the time they reached the home, the fire had likely been burning for half an hour. The children were between the ages of three months and 16 years. "We found a long history of neglect- too much neglect," said James McIntyre of Foster Care Alumni of America. The Department of Children and Family Services said the mother of five of those children had been investigated at least 21 times, most recently in March 2018. At least two of those investigations were on suspicions of neglect. "If everyone didn't work in silos, those kids would have been saved, intervention should have occurred," McIntyre said. "DCFS should have taken as many kids into productive custody as it could." DCFS had also investigated two of the other mothers. The department is still investigating the case. ABC 7 Chicago, the Chicago Fire Department, Kidde (a global leader in fire and safety products), and The Home Depot present "Operation Save-A-Life," a public awareness campaign targeting fire/carbon monoxide safety and prevention.